WATCH: THIS BAKKIE IS BETTER THAN CHUCK NORRIS! Chuck Norris is best known for his martial arts movies that make him a legend amongst men. In recent times, Norris has been made into thousands of Memes online. These include Memes like “Chuck Norris doesn’t turn on the shower, he stares at it until it starts to cry”. In the latest hilarious Toyota Tacoma advert, a Tacoma owner asks Norris to sign his bakkie. 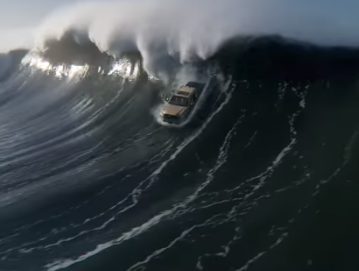 Following that the bakkie becomes a hero and starts rides huge waves.